For our Summer 2019 workshop, we will be going on the ultimate road trip through Canada's best national parks! Join us for the adventure of a lifetime through the Canadian Rockies exploring some of the most picturesque views in the world. Over the course of a week, we'll make our way through Alberta and British Columbia as we explore Banff, Yoho, Jasper, and Kananaskis in the comfort of a luxury RV. This will really be a trip like no other! There's no better way to explore the Canadian Rockies than on a road trip with nine other like minded adventurers. Traveling in the RV gives us maximum flexibility and allows us to chase good light and seek out the best possible conditions. 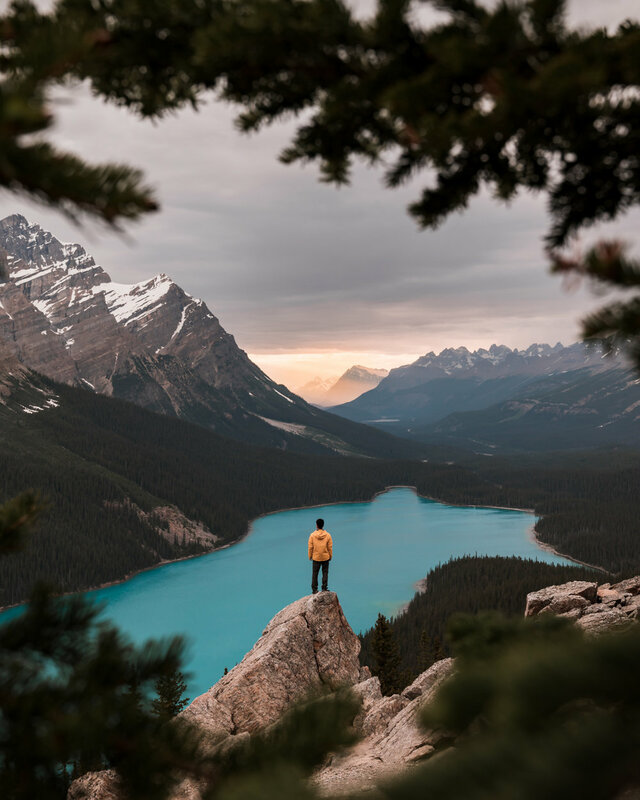 Home to brilliant turquoise blue lakes, world-class landscapes around every corner, and abundant wildlife, there's something so special about the Canadian Rockies you just have to experience for yourself. As we travel north, we'll be surrounded by some of the grandest mountain ranges driving along the Icefields Parkway - one of the undisputed most scenic drives in the entire world. During this outdoor adventure tour, we will be focusing primarily on landscape adventure photography and travel videography. With so many amazing things to see and do, this trip will be action-packed and heavily photo focused as we plan to be up for every sunrise and sunset. There's no doubt you will go home with some of the best photos you've ever taken and memories that will last a lifetime. During our time in Canada, we'll go to all the bucket list locations as well as some of our favorite lesser known spots. Some spots are very easy to access but others will require moderate to strenuous levels of hiking so good physical fitness is required! On this epic road trip, we'll be traveling and sleeping in two luxury RVs (which will sleep five people each) so you can count on that road trip feel and the camaraderie that comes with it but you'll still have all of your creature comforts and the convenience of everything at your fingertips. The RV comes complete with a toilet, shower, hot water, stove, and refrigerator so we’ll be very comfortable as we make our way up the Icefields Parkway! 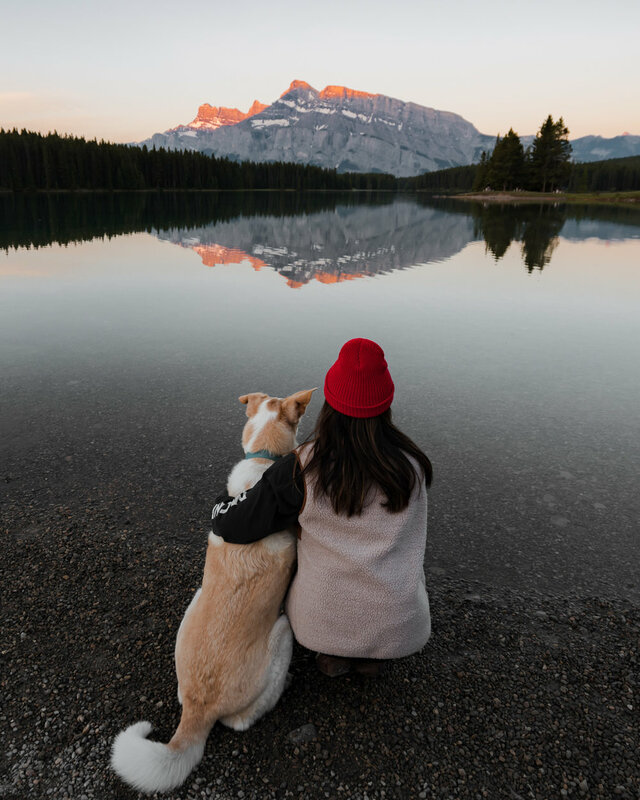 This trip through Western Canada is every photographer's dream, but even if you're not a photographer, we'd still love to have you along for the adventure! We’ve had many attendees come with zero prior photography experience and they’ve gone home with fantastic photos. We’ll show you the ropes and teach you everything you need to know in order to take amazing photos from day one. Thanks to our support from Sony, all attendees will have the chance to borrow and try out a variety of Sony camera bodies and lenses from the a6500 to the a7riii! Everyone should see this place at least once in their lifetime so if you're up for an adventure, this trip is perfect for you. Above all else, our workshops are about going on an incredible adventure that you'll remember forever. Don’t hesitate to contact us with any questions or concerns! All that's required today to reserve your spot is a $1000 deposit. Returning students receive an additional $250 off of the early bird price. The remaining balance will be due in two installments on Friday, March 29th and Friday, April 26th. We will be assembling the final group based on the list of applicants in order to ensure that the skill level of the group is well-matched. Applicants must be 19 or older to apply. There is 1 spot remaining for the trip. This workshop includes a non-refundable $1000 deposit. Cancellation requests must be made by email to tiffpenguinworkshops@gmail.com. Cancellation on or before April 26th, 2019: 100% refund less non-refundable deposit fees. Cancellation after April 26th, 2019: This close to the workshop date, we are no longer able to offer refunds. If you are able to find someone to fill your space, we can refund your fees less the non-refundable deposit. We will plan on meeting at Calgary International Airport (YYC) at around 3pm on Tuesday, June 25th in order to pick everyone up. There's a flight from LAX to YYC that departs at 10:30am and arrives at 2:37pm so that would be ideal if you’re departing from Los Angeles. If you're flying from somewhere else, the ideal arrival time is a little before 3pm since the group will be waiting at the airport until the last person arrives. For your departure on July 2nd, the ideal flight time is 3pm or later. You should not depart any earlier than 3pm because will be traveling back to Calgary that morning so it won't be possible to make it to the airport in time for any flights earlier than that. Typically, prices range from $300-$400 this time of year so look for something in that range! Feel free to contact us if you have any questions about the best flights to book! The hikes that we will be doing in Canada will range from very easy to moderate/strenuous so some hiking experience is definitely necessary. Some hikes will cover long distances and significant elevation gain so it's important that you're comfortable with that. On some of the tougher hikes we have planned, we’ll cover distances of up to 10 miles and up to 2,800 feet of elevation gain. However, we will definitely be taking our time on the hikes so don’t worry if you consider yourself a slow hiker! Don’t hesitate to contact us if you have any questions or concerns! No! First and foremost, this workshop is about going on an adventure and experiencing the wonders that Canada has to offer. If that sounds appealing, then we’d love for you to join us! We’ve had many attendees come with zero photography experience and they all went home with gorgeous photos. We normally have a great mix of all different skill levels on our trips. Along the way, we will be taking photos of the many beautiful sights we encounter in Canada so having a camera is definitely a plus, but this can be anything from your smartphone to a top of the line DSLR. There will also be opportunities to borrow Sony camera gear for use during the trip! We’ll have everything from the a6500 to the a7riii for you to check out and use in the field! We will be sleeping in 2 luxury RVs during our week in Canada. Each RV will sleep 5 people comfortably and features a toilet, shower, hot water, stove, and refrigerator. Each night we will park in an RV campground where there will be additional bathroom and shower facilities. We will be traveling through Alberta and British Columbia in RVs so you won't have to worry about anything! We will be picking everyone up from Calgary International Airport at around 3pm on Tuesday, June 25th and we will return to the airport in the early afternoon on July 2nd. You are more than welcome to arrive earlier or extend the end of the trip at your own expense. As long as you are present at the airport at the meeting time on June 25th, anything is fine! However, no early departures will be possible due to the fact that we will not be returning to the area of the airport until the scheduled departure on July 2nd.